ple and stylish I Love Easter is full of Easter cheer for the younger age group. Ollie’s Easter is filled with the joy and delight of an Easter fair. Like all good Easter fairs it involves baby chicks, making hats, an Easter hunt and tucking in to some Easter treats. Told in gentle rhyme accompanied by Anna’s delicate illustrations, this will be one to admire for some time to come! It is perfect for younger listeners. 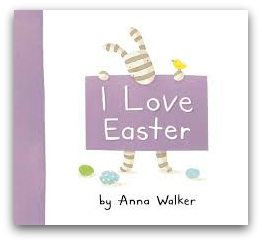 I Love Easter is a featured book in our Best Childrens’ Books for Easter collection.